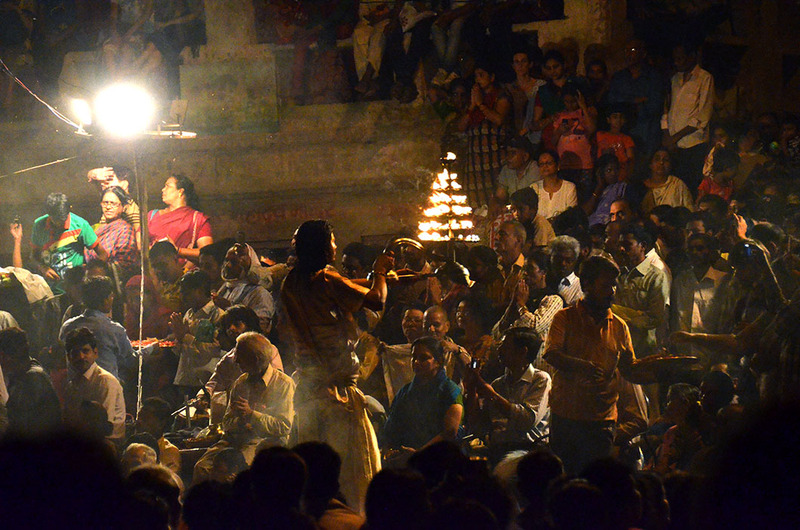 The crowded, choreographed, almost Bollywoodesque obeisance to the Ganga in Varanasi, is more spectacle than religious ritual. 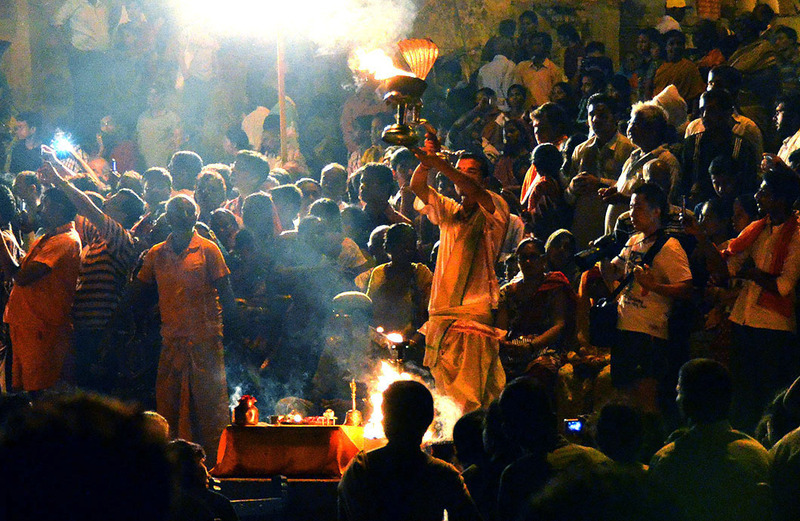 Performed daily at sunrise and sunset, the Ganga aarti was conceived by the savvy pujari (temple priest) Babu Maharaj in 1992, and it’s popularity has spawned more such spectacles in other cities along the banks of India’s holiest river, the latest being Patna. Despite the obvious stage management however, the ceremony is pretty impressive, and very surprisingly, not as frenzied as we had envisaged. 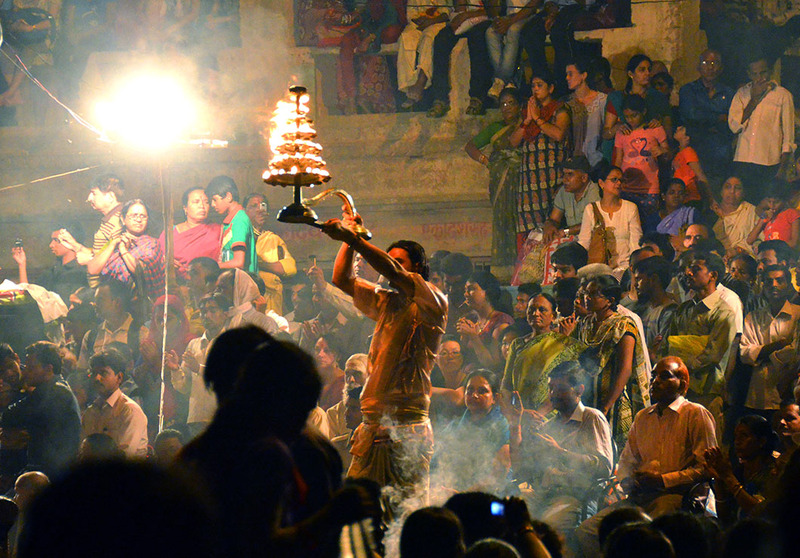 And it is hard not to be swept up in the faith and fervour of hordes of solemn devotees. 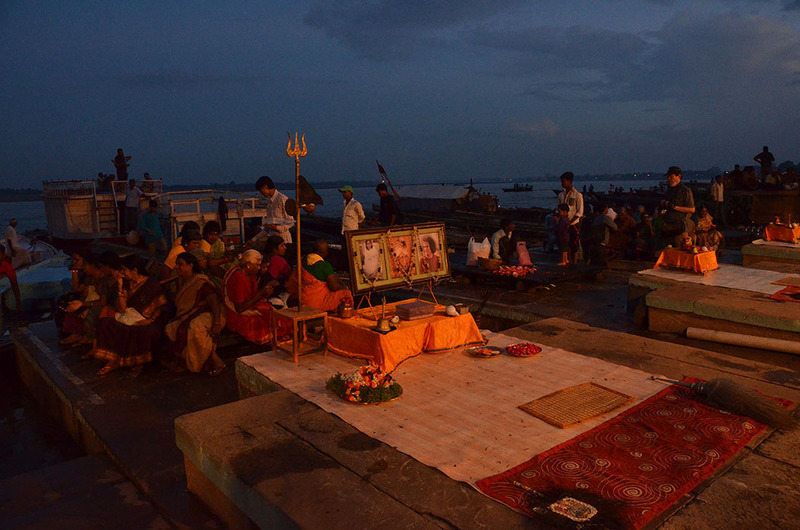 The 45 minute ceremony takes place across several adjoining ghats (steps leading down to the river), but Dashashwamedh is the grandest, manned by seven young pujaris who wouldn’t look out of place in a Bollywood flick! 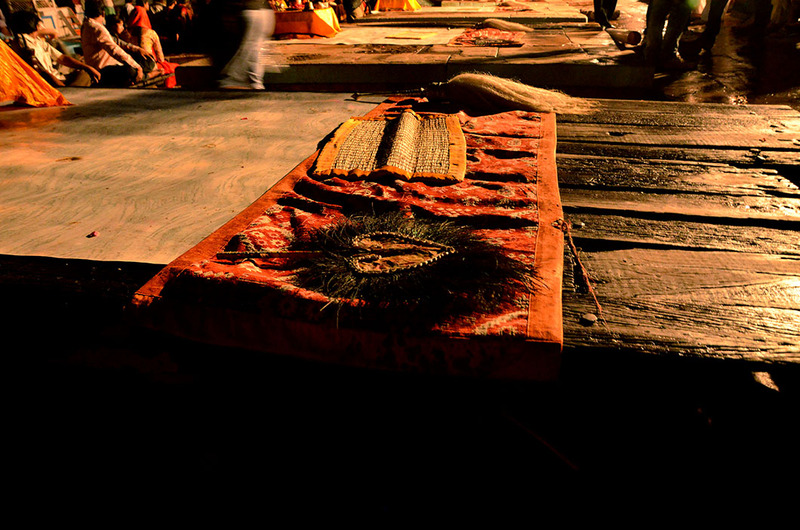 We witnessed the aarti both from a boat across the Dashashwamedh Ghat and from land. We weren’t early enough to bag great vantage points, and my low light photography skills are still obviously wanting, but I hope this gallery manages to convey some of the atmosphere. I meant to chronicle my travels sequentially this time around, but I couldn’t resist ushering in our festival of lights with these images. May your homes and your hearts light up with the joy of Deepavali! Looks like it could be a great experience. It was very atmospheric Windskipper. The attached sound makes it even more authentic. Thanks for the memory. I’m with Gilly. Missed this one as I was away in Costa Rica. So atmospheric to watch and listen to. It’s just like I’m sitting next to you …. Amazing post. It is my pleasure, Madhu! 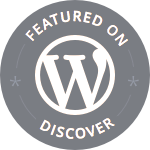 Would love to read about your impressions when you do get there Flickrich. Thanks for stopping by. 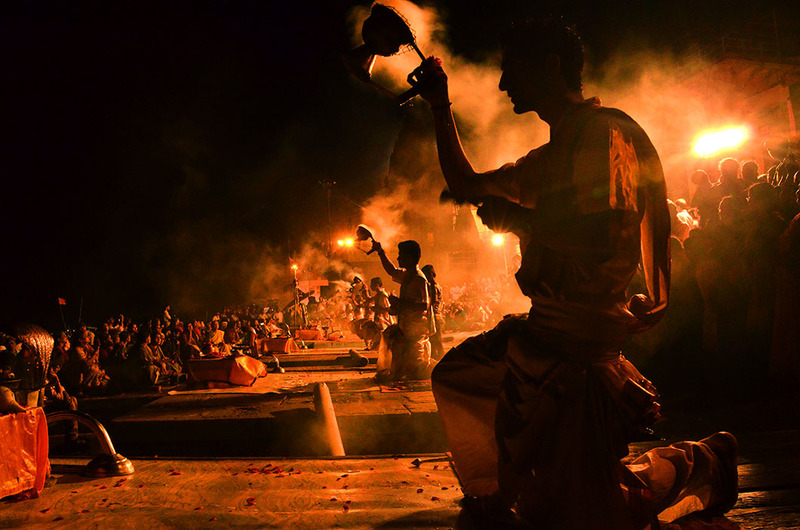 Really cool idea to have the soundclip playing, Varanasi is such an amazing place and this is a great way to share your experiences with people who haven’t had the chance to experience it for themselves.